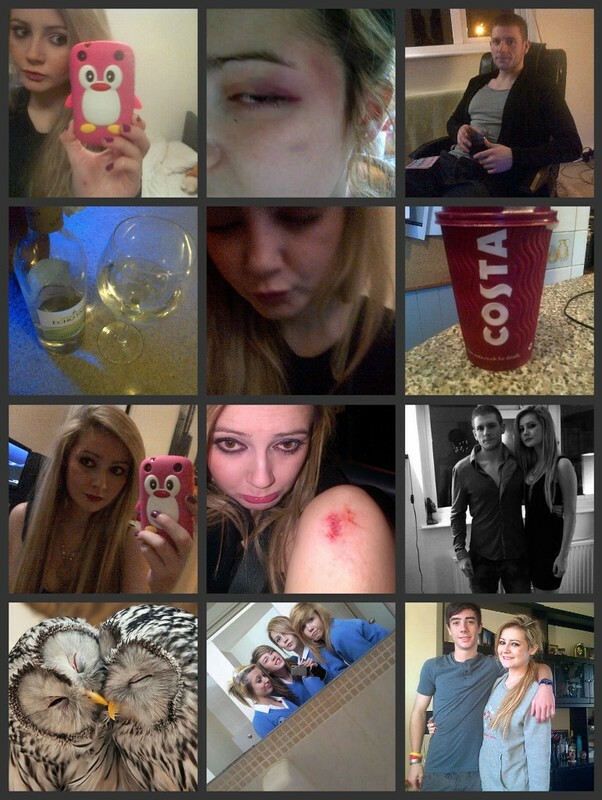 new pink penguin phone cover, awful black eye, jamie posing as always, a much needed glass of white wine, stupid photo while drunk, soy gingerbread latte yum, all dolled up about to go out, fell over and hurt my knee, me and jamie, how cute are these owls, old school photo, happy 17th birthday bro. I've been such a bad blogger this week and i apologise! I've actually been busy, busy doing not that much to be honest, just been feeling low after being punched in an unprovoked attack on the Friday, but hey ho being depressed has kept me 100% kept me busy. I'm just happy i've still been making progress with my anxiety and didn't let what happen set me back too far. I have a few posts lined up for this coming week and i've got a lot planned in general. I need to go to the doctors as i think i have a chest infection, it's my 19th birthday Tuesday so i'm having drinks in the evening for that, i'll be writing a post featuring dresses from House of Fraser too, and obviously i need to do some Christmas shopping. Oh my god I cannot believe that happened to you!! I am so sorry to hear it. It is pure jealousy, some people just grrr they make me so mad and so confused how they could be like that. Try not to let it get you down (I know it is hard when something like this has happened) but just remember Karma is a b*tch and they are due some.... agh I am so cross about this!!! Have a lovely Monday beautiful lady, get to doctors and look after yourself, stay warm.